When we purchase or adopt a new pet, we like to think that where they have come from is of a trustworthy nature, the animals welfare and health has had utmost priority and the overall establishment, home, shelter or shop is not just turning out litters of puppies for an easy profit. Animal health and welfare is an area that I feel so strongly passionate about. It has not only been an area that has interested me for as far back as I can remember, but has also become my career. There has been worldwide news of late, of a discovered puppy farm which has been operating in a remote area in the South East of Ireland. The young puppies and adult dogs at this establishment were found to be living in absolute squalor, diabolical conditions which are absolutely stomach turning and heart breaking. 340 dogs and puppies and 11 horses have been removed from the premises and placed in temporary care, some are still under veterinary care for treatment, while many more were not so lucky. 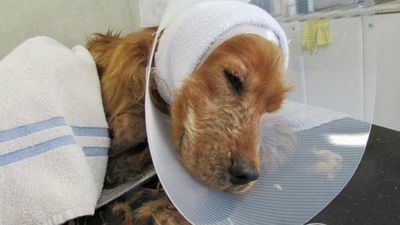 The images circulating of these poor, defenseless animals who did nothing to deserve such treatment are so upsetting, words just cannot describe. Flea infestation, urine scalding, wound infections, hair loss, limb loss, lives lost.... the list goes on. So do we really know where those "Free to good home" puppies come from? When you're asked to meet the owner in a car park away from the so-called "loving" home of the puppy, can you guarantee that they have not come from a long line of puppies at a puppy farm? We really need to ask these questions before ever agreeing to purchase an animal. It is the harsh reality of today that there are many other puppy farm owners out there who are ready to make a quick buck from trusting people who don't think any more of where their new pet is coming from. 1: Firstly, if you are looking for a new puppy or dog to add to your family, please please please adopt from a certified animal rescue centre or shelter. These animals deserve to be prioritized. 2: If you really want to purchase a purebred animal, check out certified registered Kennel Club breeders. 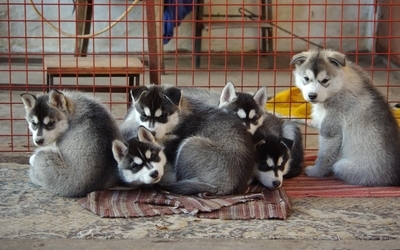 The Kennel Club will point you in the way of trustworthy breeders. 3: If you do find an animal you want to purchase, make sure you are allowed to visit the home where the animal is being kept. Remember first impressions are everything, you will know in your gut what kind of environment the animal is in and whether it is trustworthy or not. 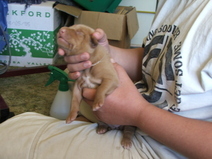 4: If it is a puppy you are purchasing, ask to see the parents of the puppy. Check what kind of condition they are in and there health status. 5: Most reputable breeders will have their litter of puppies vet checked, micro-chipped and at least their first vaccination given. If this is so, then you should receive all documentation straight away. If not then alarm bells should be ringing. 6: Trust works both ways. Again, reputable breeders who want their pups to go to a good home should be doing background checks and home checks of where their pup is going to. 7: Lastly, just keep your wits about you. If the price seems too good to be true or you feel something is not quite right, contact your local RSCPA or animal organisation. If all is above board then these breeders will have nothing to worry about. Better to be safe than sorry. We need to stop puppy farmers in their tracks. 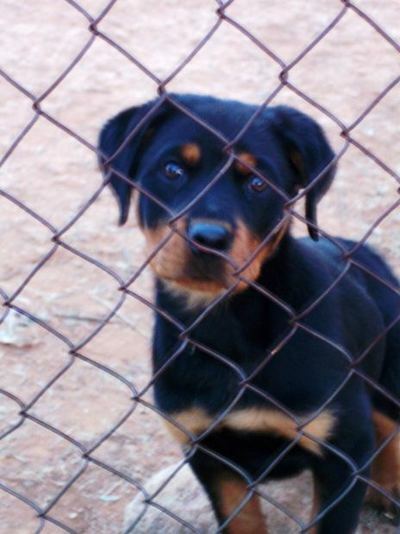 Purchasing from these unregistered breeders only increases the demand for low cost, poor health pups who do not deserve that kind of start in life. What do you think of this years I'm A Celebrity...Get Me Out Of Here! line up? I was a registed dog breeder for about twenty years. I found much joy in bringing puppies into the world, and finding them good homes. For us, a good home wasn't anyone who came along with the money. A good home was a home where the puppy would be properly looked after. We made some good friends from amongst our puppy buyers, friendships that continue still, even after we no longer are breeding dogs.